Rated 5 out of 5 by pvsquare from An excellent game I rarely give a game 5 stars but this is game that does. I beta testing this game and it is very well done. I have the other Midnight Mysteries games and it is not often the following games come off as the previous in the series but this one does. I can not wait for another one. Keep up the good work. Rated 5 out of 5 by Nana26girls from One every other day! If Big Fish could put a game on every other day with this quality of graphics, HOS, mini-games ect I would be in trouble. Please offer more like this! 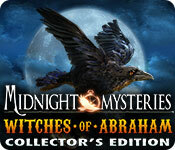 Rated 5 out of 5 by phyllisj from witches of abraham i loves the game .I will buy it. Rated 5 out of 5 by Kluane from Excellent HO & puzzle game Was a great game - 5 out of 5. Played in two sittings. Great graphics and was fun to play. 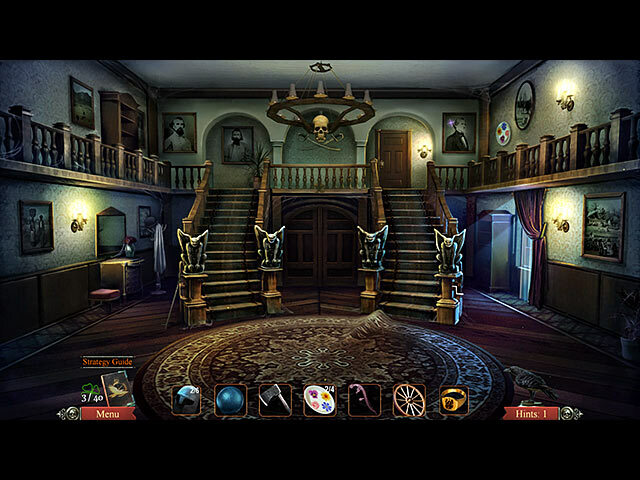 Liked all the Midnight Mysteries games but this was the best - looking forward to the next one out. This is one of the few series that I would buy without the free hour. Rated 5 out of 5 by LADY_BLADE from SOOOOOOOOOOO LUV'D THIS GAME!!! Mumbo put out another awesome game. I love this series and how Mumbo gives a little of the history with these games. The VO's really add characteristics to the game. BUT imho you don't need VO's to make an awesome game. I enjoyed the others just as much. It's the game that makes or breaks whether it's good or not. The spookiness factor is right up there with the others. The opening scene was a "WOW" factor as well. Very well done. Kudos to the team for this game. Story: This one here we meet up with Abe Lincoln and he asks us to find the KGC before the bad dudes do. (Note: I don't emphasis too much on the story since you can read about it on the buy/try page) :) Graphics: Beautiful. Kudos to the team. To me they were done just as beautiful as the others but a little more in depth. H0G Scenes: Very clear. I didn't have any problems. There shouldn't be a problem for no one here :) Mini Games: In the beta version I didn't skip one. Although the skeleton gate puzzle gave me a run for my money, but did do it. The puzzles were done just right. Not too hard or easy. Music: Beautifully done. Really added to the game and the spookiness factor. Kudos to the team. Hint System: Worked well outside the H0GS. None of this "There's nothing to do here, look somewhere else". Map: Jump map. Best kind. Saves you from running back and forth like a chicken with her head cut off. I'm sure the detective appreciates it too. :) Enjoy the game. I know I did!!!! Rated 5 out of 5 by SassyBoots from The South Rises to Help Abraham This game has the truly best graphics I've seen on any game in a long time. I enjoyed it more than any other games I've played in a long time and I own 3 or 400 of your games and Real Arcade. It captured my attention with the story lines and the graphics best of all. Even the music matched the actions. My only complaint about it is with the notebook notations and it could be due to my graphics card. I played through the trial, then purchased the game a day or two later. Once I got into the game, I was trapped again and played all the way through including the bonus chapter, although it really had little to do with the game itself other than using some of the same locations. Kudos to the developers and creators of this game. Rated 5 out of 5 by JaNor from Jesse James meet President Lincoln Midnight Mysteries is back! This is such a GREAT group of games. If you have not yet played the other games, please do, they are so fun. With this installation, you meet President Lincoln, who needs your help. You will jump thru portals to the time period of the President. Jesse James is involved in a very interesting way. The developers take this game to next level, the usual graphics are sharp, the HO's are great, including the puzzles. Do Not Miss Out, play this game! Rated 5 out of 5 by chrmn2k from Timely Topic for History Buffs! If you've played the last two or three? 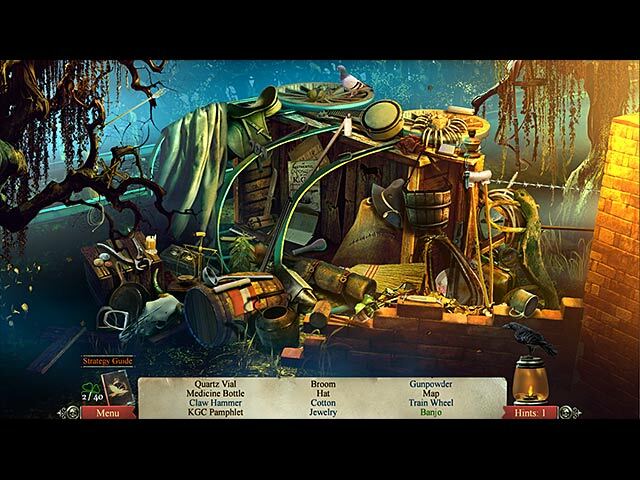 Midnight Mysteries games, you will see the exact same intro, characters and game play. This one, though, is the very best. With top notch graphics and audio, I blew through the Demo before I knew it and purchased right away. I highly recommend it and at half price, don't miss this fun Hidden Object Adventure program for the entire family. A bit of education rolled in a game - that's how I like to learn. Rated 5 out of 5 by tailswhiskers from A very good HO game This game was fun to play. They had the likeness of Abe and Mary Lincoln. You had to find the helmets and that was the end of the demo. The graphics were like you were really there and the sound was great. When the demo was over, I wished it would go on. I would recommend this game. Rated 5 out of 5 by 53_model from Another great addition to the Series I am a huge fan of the Midnight Mysteries series--love the Edgar Allen Poe one the best...This sequel, by HotLave, is indeed a great addition!..Follow the ghost of President Abraham Lincoln to find out the conspiracy and the hidden treasure!..Great graphics, easy HO's, excellent mini-games, not too hard, not too easy....A must have for the Midnight Mysteries series player! Rated 5 out of 5 by pennmom36 from I SEE DEAD PEOPLE! Very entertaining game with a whole lot of mumbo jumbo going on in my opinion! President Lincoln has asked for help locating a Confederate cache that he believes will be misused. Since we see and hear the dearly departed, we take on the case in search for the evil Jesse James and the hidden treasure. The graphics are crisp HD quality and the cut scene video was professional and of movie quality. My favorite part is finding the 40 very well hidden clovers which will unlock unlimited puzzles. You must also find hidden ravens to acquire extra hints and I will admit that some scenes either didn't have any ravens or were so well hidden that I simply couldn't find them, either way that's how it should be! The HOS are interactive list finds where you must put two items together such as a banjo and strings, and there were a few items that were too small to actually recognize. The mini games are fun, in one of my favorite puzzles you need to place 6 pewter soldiers on a battlefield to cover the entire grid and all directions must be lit. Every scene has multiple areas of interest or inventory items to find so it doesn't become mundane. The map was a bit of a disappointment because you couldn't use it to travel to that area, but it's a decent game none the less, enjoy! Rated 5 out of 5 by 1955raven from 5 STAR + FOR WITCHES OF ABRAHAM!!! HAVE BEEN WAITING FOR THIS NEW MIDNIGHT MYSTERY,LOVE THIS SERIES AND FOUND THIS ONE EQUALLY AS ENTERTAINING AS THOSE BEFORE! Rated 5 out of 5 by gryhndlvr from Another fine game in this series Been waiting for another Midnight Mysteries to come out. This does not disappoint although another developer created it, but stuck pretty much to the old format, which I liked. Graphics are clean and good and storyline is comparable to the other Midnight Mysteries, which I all own. It is an easy game, some minigames can be a bit challenging. I play these games for the storylines and the funfactors. Still clovers to collect and ravens to find. Achievements as usual. I enjoy games that are based on somewhat true events and where I can possibly learn something. Yes it could be more challenging, but I love these kind of games anyway. I'm having fun and I got sucked in enough to give it 5 stars. Even with this new dev I think they did a pretty good job. I will be buying, especially with this sale going on. Rated 5 out of 5 by JustTheFacts from Worthy Successor To Some Of The Best Games Ever! BASED ON DEMO FIRST IMPRESSIONS Absolutely one of the best series ever, I cannot count the number of times I have played the other 4 Midnight Mysteries games. They have their own unique beauty and character, and this one has it too, despite being put together by (I think, don’t quote me) a different developer. This game shows much that is new as well as the trademark elements of the series. Together, the result takes a few minutes to get used to, but that’s all you’ll need to get hooked on yet another compelling Midnight Mystery story. SIGHTS & SOUNDS The graphics are a bit unlike the previous games, and although they are clear and very detailed somehow fail to impress. It’s as if there is too much detail to be beautiful. Again, it’s easy to get used to. The scenes also seem a little dark, but visibility is high. There is far more melodrama here than in the rest of the series, with both the sounds and images being designed to startle and the game is quite creepy in parts. The voiceovers are excellent, the English perfect and background noise intense. And the trademark tunes and cut scenes are still there. WHAT’S HAPPENING Our role as assistant to ghosts with unfinished business sees us visited this time by Abraham Lincoln. He wants us to track down a secret society and their treasure. It all has to do with the civil war, but then there’s Jesse James mixed in there too, and that's gotta be fun! (His character looks spectacular.) This story is much more threatening and supernaturally oriented, even though we’ve always dealt with ghosts. Before they were mostly harmless. These ones seem to include beings of a far more demonic nature. The story is compelling, and I was hooked almost immediately. MAKING PROGRESS This game is a good mix of puzzles and HOPs, following the previous games’ formula. The puzzles are not difficult, and the HOPs are all interactive lists. Some elements that I particularly like about the HOPs is that you can click on a word in the list to see a silhouette of it. As well, there is a final item which is the one you keep. Hints are collected by finding ravens, of which there are many, but if we run out, a new one will be generated over time. There is a journal which also gives us an objectives list and a map which gives you current location and active tasks. The SG can only be accessed through the main menu. Perhaps that’s best: I almost didn’t find the answer on my own to how to keep the cat inside – in the very first HO scene in our office! BLING! The usual gallery items, including two screensavers, as well as achievements, including finding 40 collectible clovers. A game called “Before & After”, and a book of Characters. SG was locked until after purchase, but we are talking about 15 each of the unlockable HOPs and puzzles, so I’m guessing a fairly good length. The demo took me 50 mins. I am tempted to buy the CE just for the wallpaper of Jesse James and the raven screensaver, but I’m like that. Collectible clovers and ravens are part of the tradition of this series, so I doubt they will be exclusive to the CE. Rated 4 out of 5 by krystal59 from Pretty darn good I quite liked this game. It had the same look and feel of the previous games and I thought Hot Lava did a pretty good job. I liked the addition of achievements and it still had all the other plusses. As always you could click on the word in the HO scenes and it would show you a silhouette of the object in the lantern, great for times when you don't know what a watch fob is for example. It also had the collectible shamrocks and the ravens which increased your hints. The storyline was pretty good with lots of portals to travel through and many interesting characters. A few jumps in the chair and some pretty good graphics. My only complaint was the length. It seemed a big shorter than the others and without the extra chapter it would have been really short. But it had lots of interesting puzzles and I really did enjoy what was there. Nicely done. Rated 4 out of 5 by eedebeep from Not bad, but not great Generally I like the Midnight Mystery series, the HOS are good, the puzzles plentiful, you can turn off voiceovers and music, the games are a decent length for a CE. It's the conspiracy theory, common in all of them, that is beginning to wear on me. The plot of this game is pretty sketchy and not well developed. I'm also tired of the blue ghosts with the blank eyes. I might have liked this game better if I hadn't just finished the new Enigmatis- Mists of Ravenhood- which is spectacular. I gave this game 4 stars , but it's really a 3.5 for me. Rated 4 out of 5 by undrgrndgirl from developers get 5 stars for historical accuracy this review is less review and more reply to msbam100, who said "Quantrill Raiders historically did not intersect with Jesse James, to my knowledge, so even the story is a bit of a stretch for me." well, msbam100's knowledge is lacking. jesse and frank james - as well as cole and jim younger - were members of quantrill's raiders. so, the story is accurate on that point. and it didn't take but 10 seconds to check it out...so, i'm giving the developers the full 5 bars for their historical accuracy... based on 30 minutes of the demo... the hos and puzzles were engaging and some even challenging. i liked knowing if i'd found the clovers or needed to keep looking. given that i've been playing these games for over 5 years i realize the puzzles have gotten much easier for me...which is not really a reflection on the developers who also have to keep newbies in mind. this game was better than most i've played in the last three months or so, though it might not be quite as good as the others in this title. Rated 4 out of 5 by Granny_Gruff from Almost up to previous MM Standards President Lincoln's spirit pops into your study late one night. He wants your help in finding a treasure hidden during the Civil War. His idea is that the undiscovered treasure could be used in your own time by terrorists for sabotage. There is much of the look and feel of the previous MM games. The developers need to have the confidence in their own abilities to move ahead rather than sitting on someone else's laurels. The art work has much the same look as the previous games. It was not stellar then either. The minigames are mostly simple and occasionally embarrassingly easy. (Try the one where the notes of the piano music are highlighted on the keys as you play them.) The HOS are HOS. I don't mind the changes in dialogue and I had forgotten that Lincoln and Jesse James were contemporaries. We don't often think of the "Wild West," Gold Rushes, and the Civil War going on at the same time. Mostly this is a worthy entry into the MM series, with the possibility of great strides in the next one! Rated 4 out of 5 by tollermama from I Liked This Game! I have not played any of the other games in this series, unlike most of the other folks who have written reviews for this game. Because of that, I feel as if I may have a slightly different view, because I don't have any preconceived notions of how the game should be. I liked this game, even though the story seems rather far fetched. I like the level of challenge, it is not hard, even playing in the hardest mode, but is relaxing because of that. I like the fact that the hand holding is kept to a minimum. I have enjoyed finding the clovers, which aren't always easy to detect. The strategy guide seems to go along with the story. 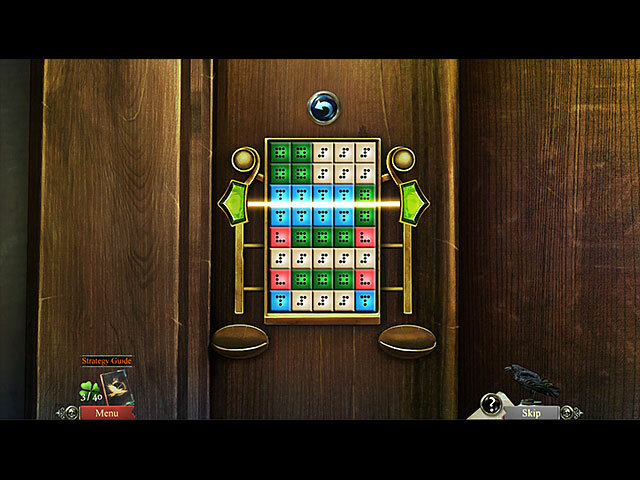 There are some newer puzzles that I have not played before in other games and the HOS are at least mildly interactive. I did not mind the graphics at all, I thought they were well done and really pretty realistic. Very clean scenes and not dark and difficult to find things. This is an entertaining game and I think worth the sale price. I will be getting it. Rated 4 out of 5 by themom101 from Much too easy This is based on demo play only. I've got and loved all the Midnight Mysteries series. They are never extremely hard, but usually require more thought than this one. It starts as all of the MM's do, in your office with a ghost. This time Abraham Lincoln. Interactive HO, take Lincoln's hand and begin the adventure. As always, look for clovers in every scene to unlock HO free play. Watch and collect Ravens for hints. The story is good as always, however, this one is extremely easy. Requires very little thought on how to proceed and even the puzzles are easy. If you've played these games before, you won't have any problem with them. If you're a beginner and want to get your feet wet in this genre, this is a good game to start with. If you're more experienced and require more of a challenge.....definitely wait for the SE or a daily deal. I'll probably buy it if it pops up as a daily deal or perhaps on a BOGO weekend, but the challenge in the former MM series is lacking in this one. Rated 4 out of 5 by esteroverde from Good Sequel to Midnight Mysteries Collection I always look forward to what the next theme is going to be in this collection of games of which I have all of the previous ones. This one doesn't disappoint either. This time Lincoln is asking for help to find the confederate treasure so the story line is interesting right away. You pick up the typical clovers for collection and ravens for hints once again but you are also throughout the game having to collect so many of certain items to use. I loved a new twist at the beginning of the game where the ghost of Lincoln asks you to do something so that the HO item list becomes visible to read so I haven't seen that before and I liked it. I only played the demo so far but the puzzles are fairly easy but good and not sure how worthy as a CE this will be but I'm pleased with the game overall. Rated 4 out of 5 by 43Colorado from Time Travel, Hidden Treasure, and a Secret Society! Fun! Based on demo. This is the fifth Midnight Mysteries game in the series and it does not disappoint. You are a successful novelist to whom ghosts appear asking for your help. This time the ghost asking for your help is none other than Abraham Lincoln. He wants you to find the treasure of a secret society determined to undermine the US and stop their nefarious plans. You get to travel back in time, solve puzzles, and find the treasure! Fun! The VOs are well acted and help move the game along. The graphics retain the same level of quality as the previous games. There are plenty of achievements to earn and collectibles to find. The hidden clovers are back in this game and can be very tricky to find. One change is that there is a clover icon that lets you know if you still haven't found all the clovers in a scene. This feature makes it easy to keep track of your progress. And be aware---the clovers can be found in HOSs! I also like the fact that you have to earn your hints by finding hidden ravens throughout the game. More of a challenge! There is a journal with a map to record clues and information. The map tells you where actions are waiting to be completed, but does not let you jump to that location with a simple click. You still have to travel through the scenes. The HOSs are interactive and fun and they can be a little more challenging than the standard HOSs. I like that. One of the extras I always enjoy about the MM series is the historical research the devs incorporate into the game. The Civil War setting and historical data are engrossing and informative. I don't often learn while gaming, but I do with the MM series. And I have fun doing it! Good game! Rated 3 out of 5 by knucklebones from Dumbing-down in Missouri A fairly entertaining game but nowhere near as moving or challenging as the three previous Midnight Mysteries ('Salem Witch Trials', 'Devil on the Mississippi' and 'Houdini DeLuxe'). All in all it's a disappointingly dumbed-down release. The storyline of Lincoln versus the Knights of the Golden Circle (a real-life secret society) is a strong one but there are a lot less ghosts than usual and most are limited to brief walk-on roles. Essentially it's just you and Abe hunting down the the secret society and their stolen treasure. Jesse James was alleged to have been a member of the KGC and he takes the starring role of the Dead Bad Guy. The principal ghosts now come equipped with top-notch voice-overs, though perversely I think this rather weakens the eerie quality of the game. Music and sound effects are excellent throughout. As always with MM tales, the game makes much more sense if you can spend a few minutes on the web exploring the links between the various characters in the story. There aren't many Hidden Object scenes in the game, and they're a bit duller and more junk-piley than before. Except for a couple of glaring mistakes (a teabag on a string in 1860's Missouri, for goodness sake) they retain the series' fine tradition of using historically-correct objects. Some items are small and/or hard to identify but not a pain to find, though I couldn't differentiate between the dark blue and black writing used in the item lists. Thankfully there's no penalty for mis-clicking! Alas there's no more joining-together of found items to create a useful tool - a shame, since that used to be a fun and creative thing to do. There are three modes of play, which you can’t change mid-game. I played on 'Easy'. After the opening spate of adventuring in the White House, puzzles and gameplay generally become very simple with some puzzles so shockingly trivial that I felt insulted (eg match pairs of vegetables or splinters of glass). The puzzles seem to have lost their quirky and inventive humour too. Gameplay takes place in many different time periods and locations so there's a lot of time-travelling which is handled effectively. The Bonus Chapter is a stand-alone follow-up to the main game featuring the well-realised ghost of Jesse James. It has one new location plus revisiting of previous scenes. It took me about an hour to play this Bonus segment. Can't comment on the accuracy of the integrated Strategy Guide as I didn't need to refer to it, but it didn't keep up with my progress. Other extras are very sparse: only 2 screensavers and 2 wallpapers plus an Achievements Wall. The game's stingy with ravens to top up your hints and most of them are found in the later stages. The game's so simple that I didn't need to use any, but I used to love collecting them and seeing the beautiful Hint Raven flutter on its perch, so I'm rather sad at how few there are. There's a map of sorts which shows the accessible areas in the immediate vicinity; it has no jump function but there's no need for one. My biggest disappointment with this release (besides the simplistic gameplay) is the relative sparsity of chatty ghosts. The previous games had an abundance of historical characters telling their tales. They made me stop and think about the personal tragedies which haunted them as well as the real-life and supernatural connections between them, and interested me enough to read further after the game was over. But 'Witches of Abraham' is a lightweight political and wild west adventure with little of the series' usual emotional depth and spiritual undertones. At the end of the Bonus there's a brief trailer for the next Midnight Mystery, based on a Charles Dickens' novel, which looks interesting. But I hope they ramp up the emotional and intelligence factors next time to bring this series back to its previously excellent (after)life. Rated 3 out of 5 by Torpedo1 from Not Great This game has so much potential. The animation of mouth talking did not meet what was being said. I felt like I was watching an old black an white karate movie. lol. Puzzle ok. Hoes ok. Everything was just ok. Needed more clovers to collect. Some critter movement or interaction. Maybe even some noise with some of the objects while looking for items in rooms or in HO's. Would not buy the game, but if board would use a coupon. So sad because I like their other games.